The Global Data Lab develops instruments for monitoring and analyzing the status and progress of societies. Instruments include indicators, specialized databases, and web-based tools. 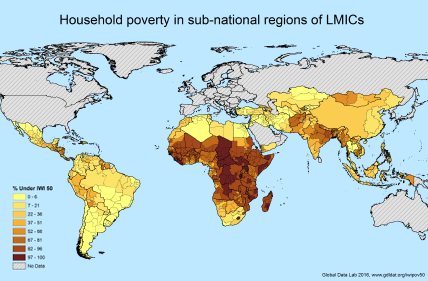 Free socio-economic, demographic and health indicators for sub-national regions within low and middle income countries. 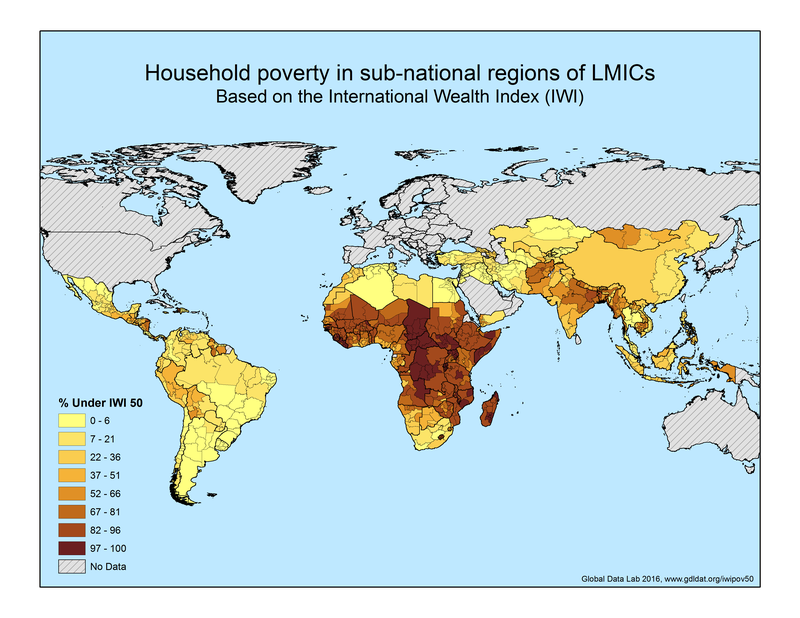 First comparable asset-based indicator of household wealth and poverty across the developing world. 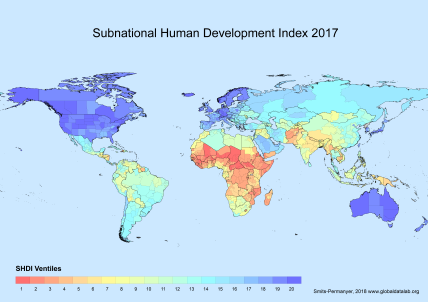 Uncovering variation in human development in 1600 regions within 160 countries. Big Data infrastructure combining 400+ harmonized datasets of large household surveys. Data on 30 million persons in 110+ countries.